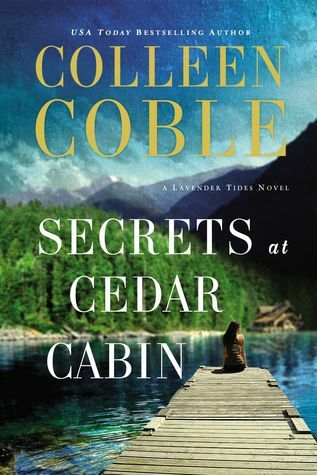 Secrets at Cedar Cabin by Colleen Coble is the third novel in this entertaining series. A romantic suspense book, that keeps me guessing the whole way. Murder, mystery, danger, and most of all a budding romance to hold me prisoner. I was completely hooked with this plot. It had this emotional pull that I could not walk away from. The story was about a family separated by dangerous men and a woman who got caught up in the storm. Both main protagonists worked well together. They made the book come alive. Their personalities and problems made them more three-dimensional. Fear, anger, loss, and hope were some of the major themes explored here. But human trafficking and justice were the top two themes. FBI agent Lance lost his sister and has been looking for her ever since. Clues have led him to Bailey and her cabin. From there, their journey begins. A cat and mouse game that proved more deadly than originally thought. Overall, I recommend this novel to all readers. It held a clean vide but still had all the interesting elements to make it interesting.